Healthy and Helpful Start to the New Year! With New Years resolutions kicking into high gear this January, there are many ways to get active in Columbia, SC! On Saturday, January 21st, get a jumpstart to your New Years resolution in a 5k or 10k race located at Hand Middle School. 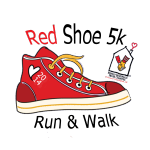 Come and help support Ronald McDonald House Charities of Columbia, SC in the 11th annual Red Shoe Run! All proceeds will be used to help provide comfort to families of those who are critically ill and injured children. For more information and to register click here! Get your family together during the New Year and use teamwork to complete this race! Modeled after the TV show, The Great Amazing Race, this race is no ordinary 5k! Two person teams race through an adventurous cross country course and are challenged to complete tasks which involve both team members! Teamwork and cooperation are what will win this race! To get an advantage over the other teams, help to fight pediatric Cancer by donating 2 pairs of sneakers or running shoes at the race and you will recieve a 2 minute time eraser token! All members of the race should be prepared to get dirty and wet, and waves will begin every 10 minutes: kids team and then adult. The race will take place Saturday, January 28 at the Sesquicentennial State Park (9564 Two Notch Rd Columbia, SC 29223). 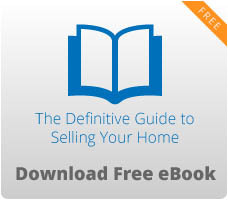 For more information click here! Attend theses events and get in shape for your New Years resolutions and help out your community and those who are in need at the same time!